CAROLE AT NEWLIFE EXPO Feb 3 - Goddess T.O.U.C.H. 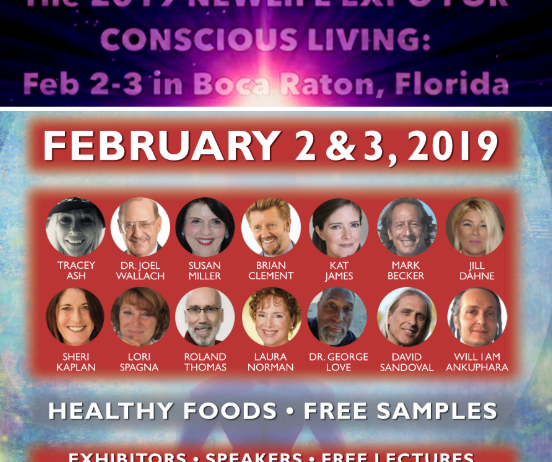 Come support me, Carole Aileo Ha’la Ramsay, Multi-Dimensional Spiritual Consultant, and many amazing light beings promoting Holistic Health, Metaphysical, Spiritual expo. A perfect place to enjoy amazing lineups such as lectures of health, wellness, meditation, enlightenment topics on metaphysics, meet amazing light workers. Don’t forget to visit me while at the Expo. SAVE $25 by pre-registering 954.655.5490 for either a 30-minute or 60-minute session with me for a Life Reading, Past Life, Multi-dimensional Goddess TOUCH Energy Alignment, with Reiki for Higher Consciousness Living, and more. (See my ad in Broward’s Natural Awakening magazine). Stop by to sign up to win a Raffle for a CLEAR THE PATH 90-minute session valued at $350. I will be also be promoting future Past Lives Revealed!, ReikI Certification classes for Higher Consciousness Living, and more. Get your tickets now. Don’t wait in line and save money!